I was in the mood to make a card and was flipping through my Paper Try Ink dies and came across the hexagon die that I ordered many months ago. I'm not even sure I really had a chance to play with this die. I used 3 pattern papers from the October Afternoon Cakewalk 8x8 paper pad, I think next time I'll sort out the hexagons a little better rather than the pattern I did this time. I love the Lawn Fawn trimmings twine...The variegated colors make me happy and it goes with so many different papers I have in my collection. 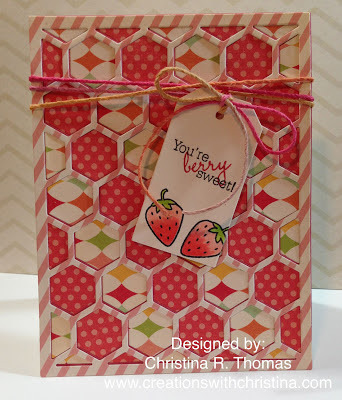 I die cut the fillable frames #9 tag die and stamped out these adorable strawberries from Lawn Fawn's Summertime charm set. I did a little simple copic coloring on the strawberries and then stamped out you're berry sweet from the Fruit Fusions, Berries stamp set. 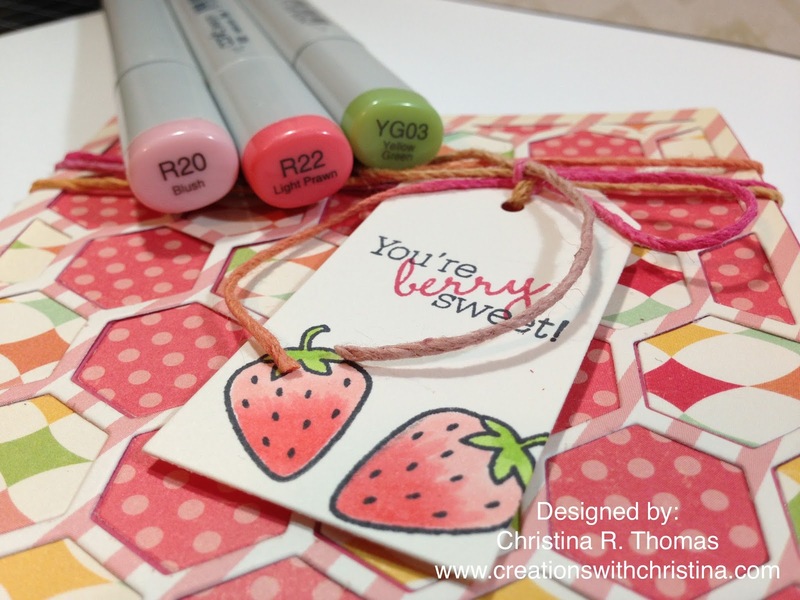 It was a fun card to make and I enjoyed sitting down to playing some dies and stamps. 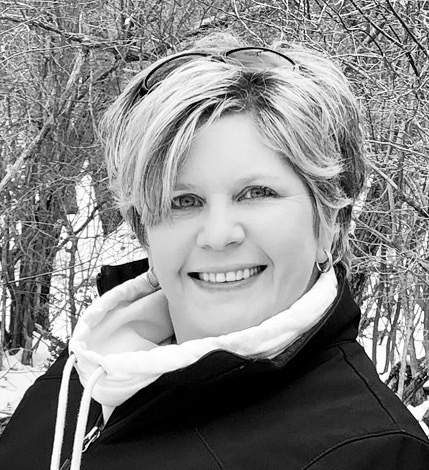 I'm looking forward to starting up a regular blogging routine next week. That looks SO cool!!! :) I have seen so many amazing layouts and cards using this kind of technique - I really need to try it! :) Thanks so much! Such a happy card, Christina! I love your work and also enjoy your video's! His work and his creativity always amaze me! Such a colorful card. I have this die and love using it with different papers and placement of the hexies, or not, It looks good plain, too. you always make the nicest cards. just discovered your cricut video's LOVE LOVE LOVE THEM. Very pretty, Christina! 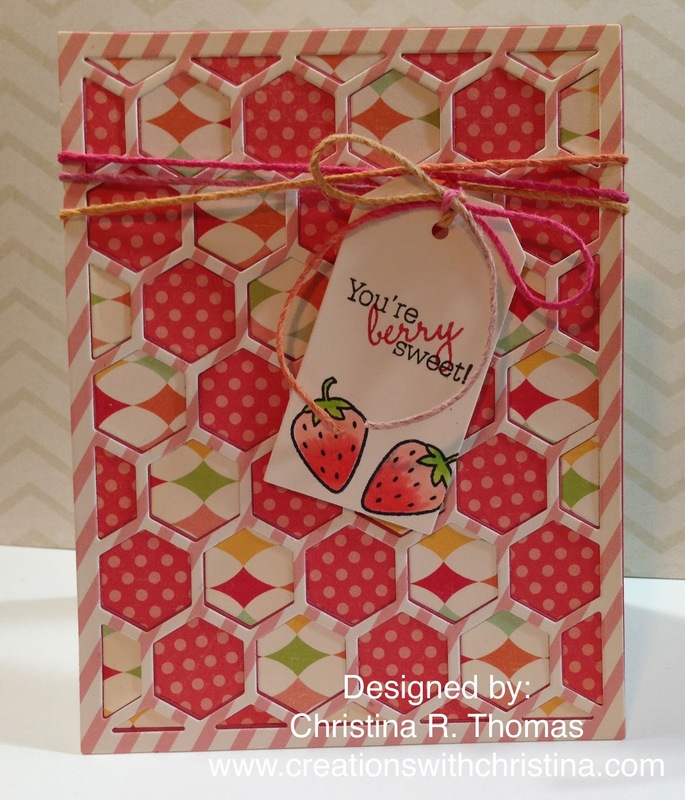 Love the collection of papers and the hexagon look! Your card is great,love your ideas. ADORABLE card, Christina!! 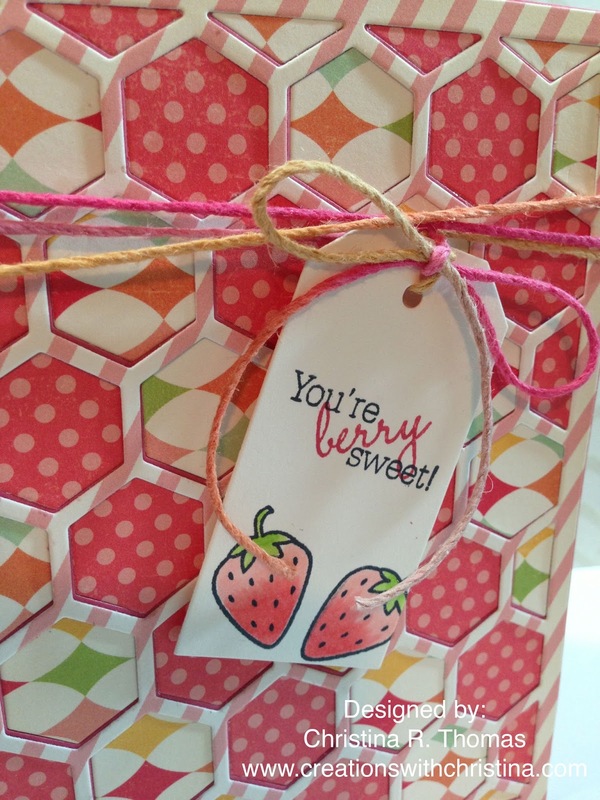 Your design is PERFECT with the cheery papers! Wow such a beautiful card!!! I love this!